The twenty-first century has produced numerous cultural artifacts that critique modern society. For instance, a movie like Slumdog Millionaire is a prime example of popular rhetoric that attempts to provide a unique view of a cultural community. Plato, in the Republic, inferred that art should instruct and uplift. However, art should also provide a narrative on the strengths and weaknesses of the society under study. What if this narrative were a rock album? 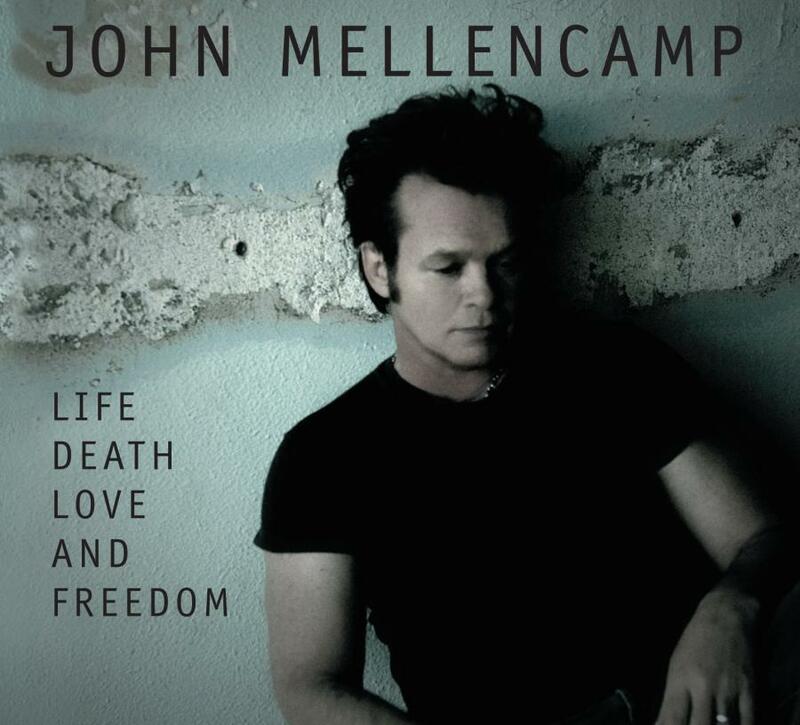 This is the case with John Mellencamp’s 2008 release: Life, Death, Love, and Freedom. In this album, Mellencamp waxes eloquently about mortality, the erosion of family and community values, and the demise of American society. Mellencamp, a leading light in the Heartland Rock genre, has written extensively about Middle American issues throughout his recording career, his lyrics typically informed by the working-class values of his small town, blue-collar Indiana upbringing. Well-known Mellencamp songs like “Scarecrow," “Small Town," “Jack and Diane,” and “Our Country” celebrate the ethos of honest blue-collar living and down-home populist pride. However, Life, Death, Love, and Freedom is less celebratory than previous releases and focuses instead on the eroding values of America and its cultural community. This bleak album addresses an aging audience and an economically and socially weakened United States. The themes of isolation, lost values, and death permeate this exemplary collection. This essay will analyze Mellencamp’s release with specific reference to these themes. To adequately assess the album, we will first discuss Bitzer’s rhetorical situation and then use it to analyze Mellencamp’s lyrical themes which reference various challenges currently faced by the American people. Because there was so much turmoil in the year 2008, the year of the album’s release, Mellencamp has much to write about. He regards the rhetorical situation as a natural context of persons, events, objects, relations, and exigencies that strongly invite utterance. For Mellencamp, these include aging, unemployment, disdain of government, fear, and the demise of the American community. These themes reflect most of the lyrics that permeate this seminal album. According to Bitzer: "Hence to say that rhetoric is situational means: (1) rhetorical discourse comes into existence as a response to a situation, in the same sense that an answer comes into existence in response to a question, or solution in response to a problem; (2) a speech is given rhetorical significance by the situation, just as a unit of discourse is given significance as answer or a solution by the question or problem; (3) a rhetorical situation must exist as a necessary condition of rhetorical discourse, just as a question must exist as a necessary condition of an answer… (4) a situation is rhetorical insofar as it needs and invites discourse capable of participating with situation and thereby altering its reality; (5) discourse is rhetorical insofar as it functions (or seeks to function) as a fitting response to a situation that needs and invites it." The above quote from Bitzer can be easily applied to music as a critical artifact. Mellencamp’s lyrics are introduced in the situation to bring about change to the exigencies that must be modified. Mellencamp, through his music and lyrics, illustrates the problems evident in American society. However rhetorically he presents the problems, he doesn’t always have answers to the problems posed. It will be the job of the critic to decipher these themes, including whether these themes present answers to complex problems. Mellencamp’s commercial appeal as an artist has been steadily declining over the past decade, and he is far from his platinum record days in the late 1980s and early 1990s. However, despite Life, Death, Love and Freedom’s modest sales, it was appreciated by critics around the country. Rolling Stone said, “This is one of the most compelling albums of Mellencamp’s career.” The New York Times said that “everywhere he looks he sees shattered expectations and looming sorrow, both in his own future and in the wider world.” Therefore, in the following sections, it is paramount to examine the album’s lyrical themes in greater detail. These themes include aging, isolation, and the demise of the country and are indicative of some of the rhetoric espoused by Mellencamp throughout the album. The themes of death and aging permeate this album. Employing Bitzer’s rhetorical situation, it becomes obvious that the rhetoric is in response to the aging of Mellencamp and his audience members. Specifically, these baby boomers are beginning to see themselves age and their bodies erode. The demographics of Mellencamp’s audience are primarily between the ages of 45-60. Bitzer confers the importance of audience when he states: "The second constituent is the audience. Since rhetorical discourse produces change by influencing the decision and action of persons who function as mediators of change…hearers or readers: properly speaking, a rhetorical audience consists only of those persons who are capable of being influenced by discourse and of being mediators of change." Bitzer’s above point is germane to this discussion. Specifically, Mellencamp is informing his audience about themes relevant to their current life experiences. Sonja Foss’s definition of rhetoric as “the use of symbols to influence thought and action” solidifies Mellencamp’s rhetoric as it relates to his audience members. The teenage characters of Mellencamp’s famous song “Jack and Diane” are now middle-aged Americans dealing with various struggles. In a VH1 interview, Mellencamp explained that his grandmother described her own impending death this way. In this instance, the rhetorical situation is death and dying. The situation calls for Mellencamp to be truthful about the reality of life, which then sheds light on this subject between Mellencamp and his listeners. The speaker, Mellencamp, includes the audience as people capable of being influenced by the discourse and of being mediators of change. In this song, Mellencamp introduces the discourse into application by form of situation. Specifically, the situation Mellencamp perceives and invites his audience to create discourse around is the concept of aging. In a world of disposable artifacts, Mellencamp shows that the body as an entity must be replaced or discarded. Mellencamp is aging right long with his audience and tells his audience that getting old is not always pleasant. Being sage in mind doesn’t always mean the body plays along in the process. These songs would not resonate with a younger audience. Under these circumstances, Mellencamp is using the rhetorical situation as a teaching tool for his listeners. His intentions were determined by the situation. Mellencamp, just as Americans before him did, forges on to solve the problems. However, because of the darkness, it is difficult to bring any respite to his listening audience. He wrote this album during the Bush administration, which came under scrutiny for its murky political agenda. In terms of trouble, Mellencamp could also be referencing the Iraq War, unemployment, the foreclosure crisis, or any other significant news story that impacted the lives of everyday Americans. According to Bitzer, “Thus the second characteristic of a rhetorical situation is that it invites a fitting response, a response that fits the situation.” In sum, the fitting response by Mellencamp shows an America weakening under all of these pressures. The writer wants peace, but under the current circumstances, peace proves to be elusive. In previous sections, it was noted that the eroding of the body was an essential theme of this album. But when pressed further on this topic, Mellencamp also shows a nation in need of repair. In this instance, repair could mean updated infrastructure or a political power shift. Cause our children, our children are dying. Mellencamp again is indignant in his critique of the Bush Administration. The “lost respect” could refer to the administration’s “go-it-alone” position in dealing with the United Nations and starting the Iraq War. The “secret” may also be referring to the ethically and legally suspect imprisonment of terror suspects at Guantanamo Bay, which from some perspectives is a stain on the ethos and worldwide credibility of the United States. Finally, the last two verses of the song may denote how weak our country has become. From the banking crisis to the spike in foreclosures, it is evident that the United States, in Mellencamp’s words, is a slowly eroding nation. As previously mentioned, the theme of isolation permeates this album. Social change in America has been drastic over the last decade. Robert Putnam, for example, has written extensively about the loss of values within various American communities. His main argument is we have moved into a more individualistic society, which denotes that the concept of “I” becomes paramount in attempting to understand the American persona. According to Putnam, “Examined more closely, these surveys found significant declines in membership in unions; church groups; fraternal and veterans organizations; civic groups; such as PTAs; youth groups; charities; and a catch-all other category.” This isolation or lack of membership is what Mellencamp discusses throughout the album. Mellencamp is not singing specifically about one individual, but interpersonal relationships in general. First, he describes the way our culture often isolates people who are not healthy. Perhaps he is referring to the millions of Americans without health insurance. Then he sardonically infers that perhaps we should sing a song for those people indifferent to the plight of Americans without health care. Finally and most importantly, in the last couplet, Mellencamp shows a twenty-first century America in which both the old and young are alone. The themes of isolation and detachment are evident throughout the duration of this album. But for all the light he sheds on these societal ills, Mellencamp does not provide answers to these profound problems. He informs the listener of the rhetorical situation, but he never informs the audience how to correct the exigence. This song conjures up all the aforementioned themes of this album while offering a solution of sorts. Our bodies, our country, and our relationships are eroding before our eyes. But only the protection of Jesus will save Mellencamp and his audience from the uncertainty of aging, social ills, and isolation. While John Mellencamp has always utilized the Heartland Rock genre to levy social criticism through music, none of his previous releases possess the sense of urgency and foreboding evident in Life, Death, Love and Freedom. Upon listening to this album, one wonders if Mellencamp’s future releases will continue this trend of gloomy introspection combined with cynical social and political observations. As Mellencamp and his audience continue to age, and as America faces the struggles of health care reform, entrenched political divisiveness, and two wars abroad, there is no shortage of rhetorical exigencies for him to draw upon. If Bitzer’s rhetorical situation is any guide, there will be plenty of opportunities in the future that invite an utterance from Mellencamp.